Hello everyone! With 2017 winding down to a close (how did that happen so quickly?) so comes my last CGH Lifestyle post. I’ve really loved sharing my nail art ideas, techniques, and tips with you for the last 12 months, and I hope you’ve enjoyed them as well. Today I have something fitting for the season – if you live in the colder climates I’m sure you’re all too familiar with the site of snow. If you don’t, you can still rock out some cute snowy looks! 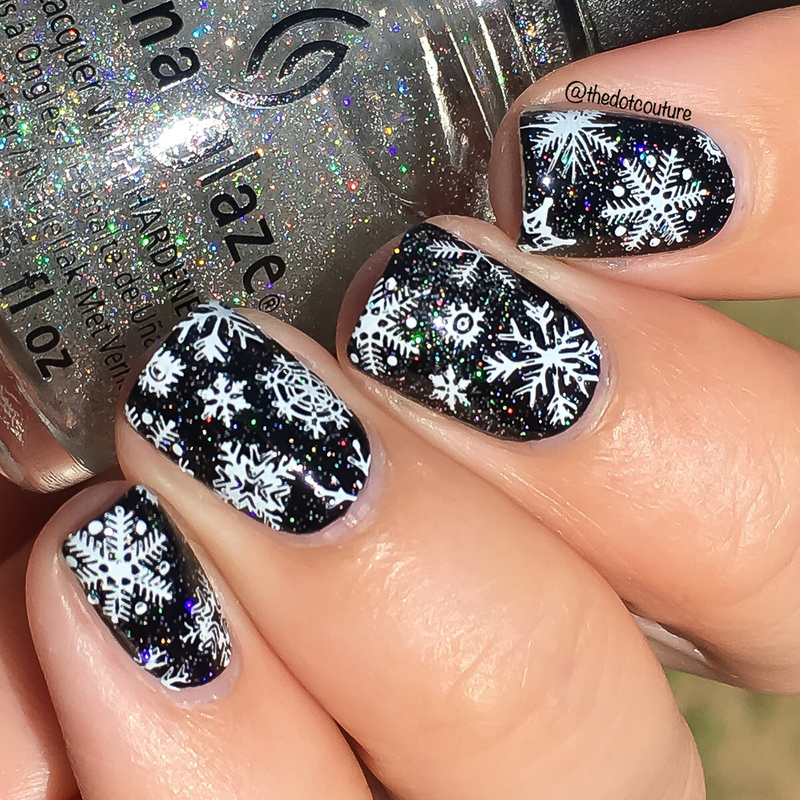 First up are some pretty white snowflakes over a holographic base. I painted my nails black and let them dry. Then I topped with a scattered holographic topper (one of my favourites is China Glaze Fairy Dust). Then I stamped snowflakes on top using a white stamping polish. It reminds me of Christmas Eve snow! Aaah look at that holo! 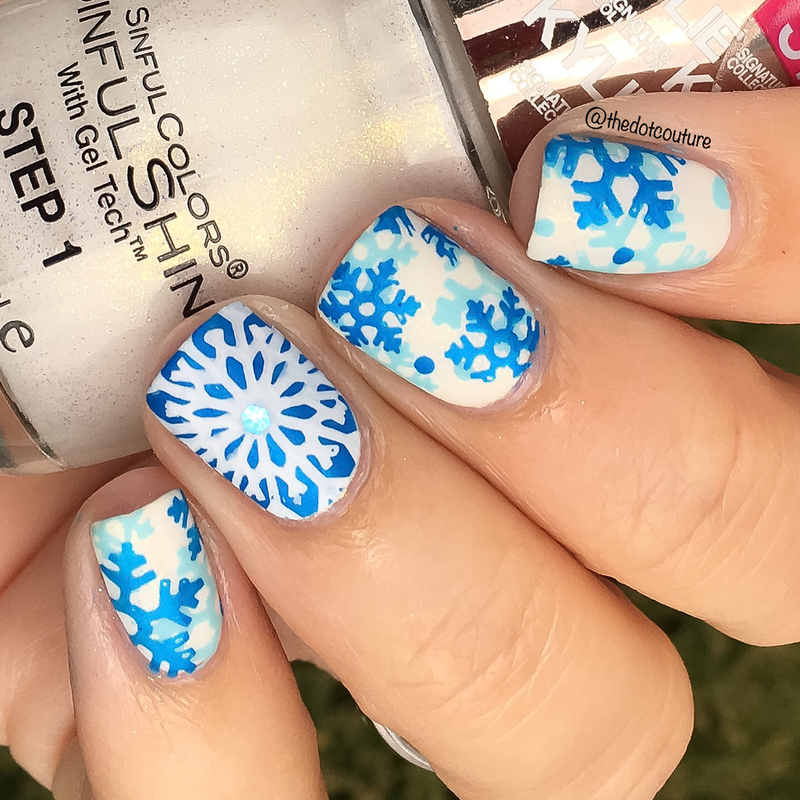 If you don’t have a snowflake stamp, you can always paint yourself some snowflakes using acrylic paint and a small paint brush. Here’s a little tutorial for you: Draw 3 thin lines on your nail, criss-crossing the in the center. Draw smaller lines coming off of those lines. Use a dotting tool or bobby pin to add some dots along the main lines. This will give you a simple snowflake, you can make it as detailed or as simple as you would like. You can tell I’m not the best freehand artist in the world but the finished product looks so cute! 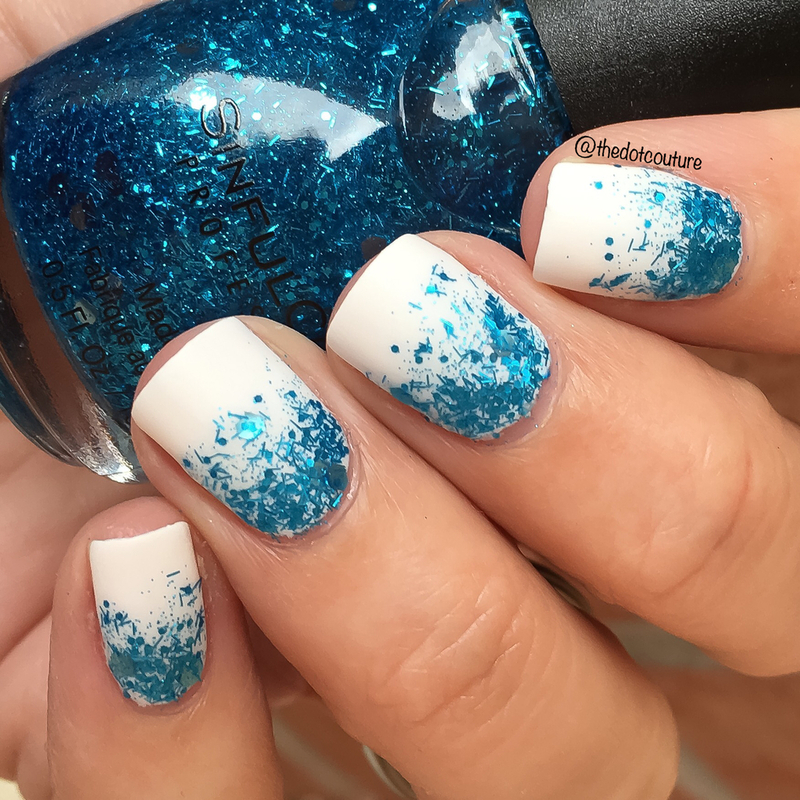 Next we have a simple glitter gradient – done in a palette of white and blue it gives that sparkly, frosty winter morning feel – so simple and cute when you’re snuggled up in a sweater by a roaring fire! To get this look, paint your nails a white base and let dry. Using a makeup sponge, paint your glitter onto it and gently dab the glitter around the cuticle of your nail, working towards the center. Top with a quick-dry top coat and then a matte top coat! 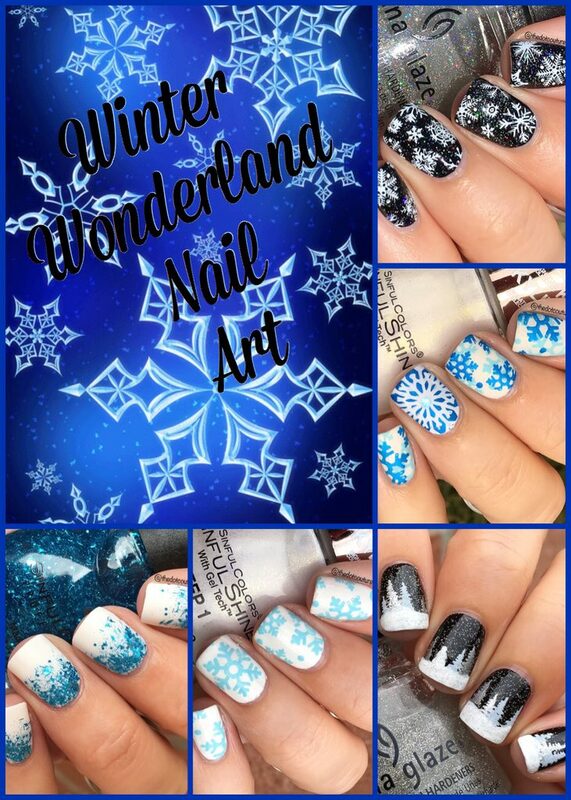 So after I did the above mani I just fell in love with the blue and white combo for a winter wonderland theme. It totally reminded me of a Christmas tree I had when I was a kid – it was a white fluffy tree all done up in blue lights and blue and silver ornaments! I started with a white polish with gold shimmer in it, and stamped light blue snowflakes over top of that. Then I decided to do a second layer of stamped snowflakes in a darker blue and gave myself a white snowflake accent nail: I even fished out a glitter from the polish I used in the previous mani for the centre of the snowflake. I loved these so much! And last but not least, I did a wintery forest scene. 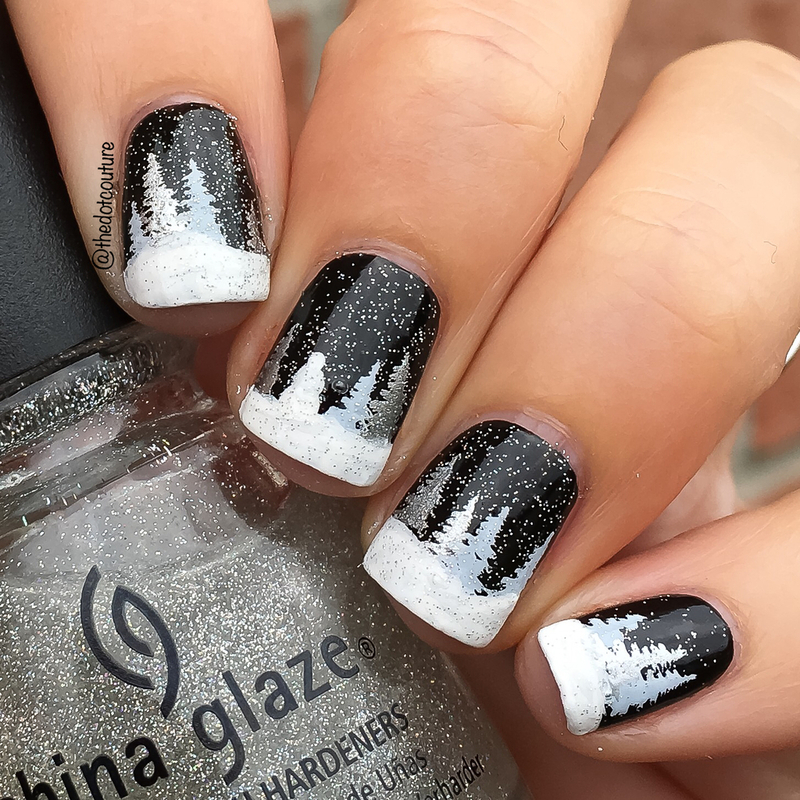 I started with a black base, and used acrylic paint to create snow along the bottom of my nail. 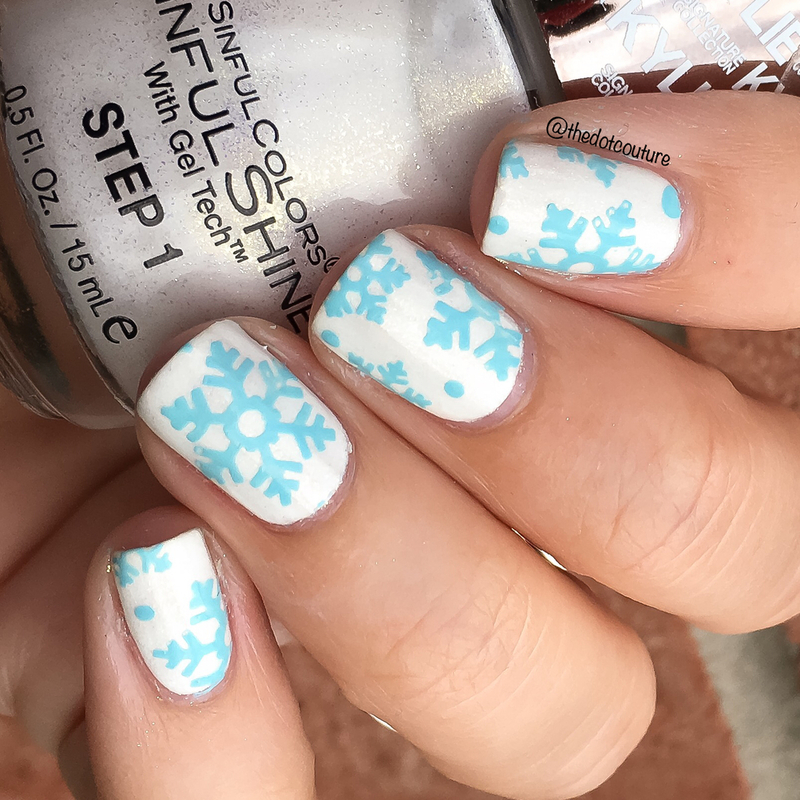 Then I took a tree stamp and using white, silver, and light blue polish stamped trees along the snow line. I even painted a little snowman in there! Then I topped it all with a holographic topper to mimic the snow falling in the night sky. You could easily use acrylic paint to paint the trees if you prefer. You just draw a vertical line (for the trunk) and then smaller lines coming out of it (for the branches). So there you have it! I’m very thankful to have been able to spend the last year with you guys and all of the Cute Girls Hairstyles family. If you’d like to keep up with what I’m up to, head on over to my Instagram @thedotcouture – I promise you lots of fun and interesting nail art. Until next time, happy painting!